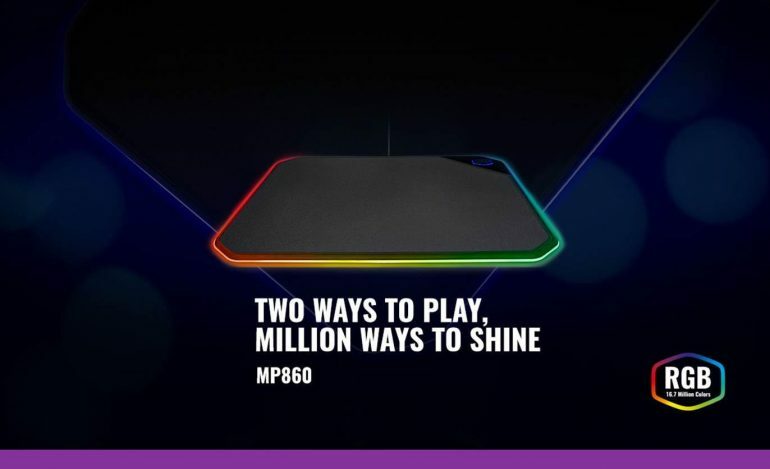 SINGAPORE – Cooler Master, a global leader in designing and manufacturing innovative gaming peripherals and computer components, today announces the release of its dual sided RGB gaming mousepad making it the first piece from Cooler Master’s M800 series to launch, followed by MK850 keyboard and MM830 mouse later this year. The MP860 boasts dual surfaces allowing users to switch from blazing speed on its cloth surface to precise control on its anodized aluminum surface. With 19 LEDS at their disposal, gamers can customize up to 16.7 million color options, choose from an array of lighting effects to suit their preference, and seamlessly synchronize with selected Cooler Master peripheral. The release of the MP860 will commence immediately, priced at SGD 109.